A gesture-controlled bike light, making the roads safer for cyclists everywhere. Mobility Smaller, flexible enclosure ideal for portability. 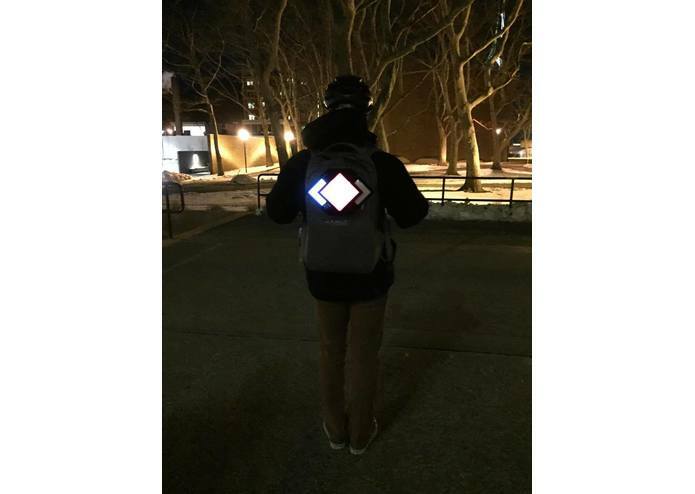 Our new case has straps to attach around a person's back/waist or backpack. Efficiency Better power distribution system and regulation for maximum energy efficiency. 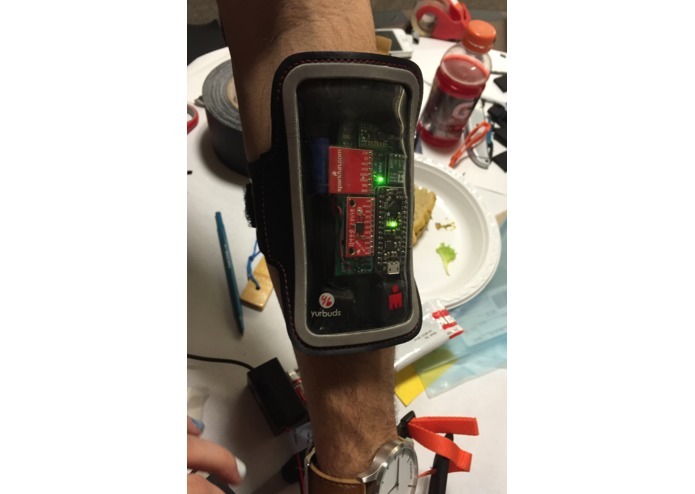 Integration No longer depends on Raspberry Pi or expensive Myo armband. 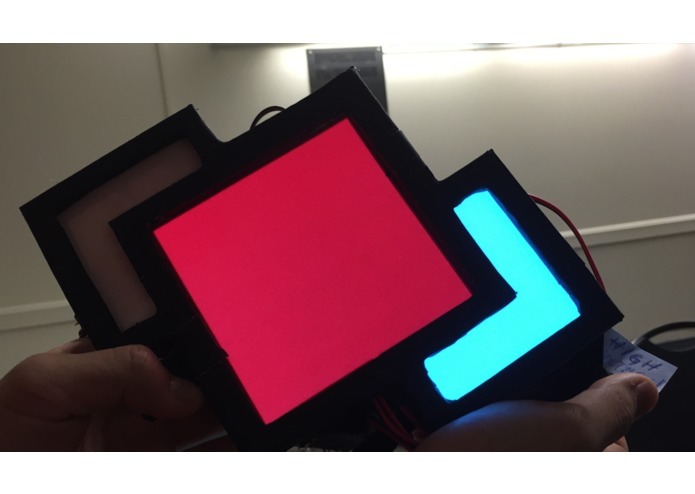 We simplified our electronics and developed a custom gesture-recognizing wristband. 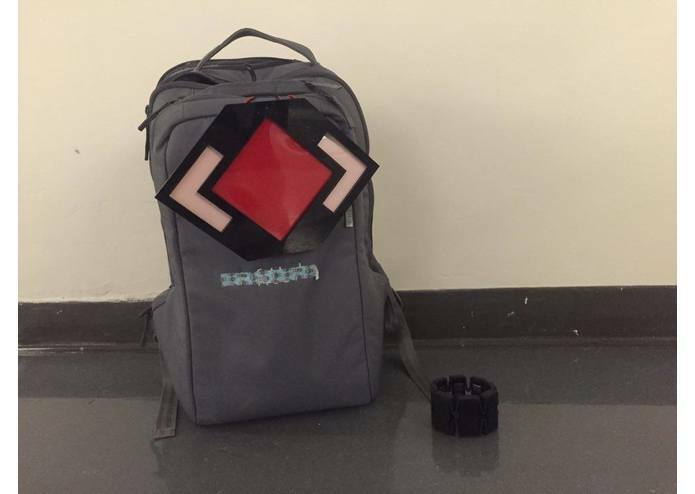 Before your ride, put on our custom wristband and turn on the Bicyclight. During your ride, signal as you would normally, with standard hand turn signals. Our custom wristband will recognize these gestures and provide haptic feedback to verify this to the user. The left/right blinkers on the Bicyclight light panel will turn on as appropriate. When the cyclist brakes, the accelerometer will detect rate of deceleration and change the speed of the red center light to alert others. On a January night earlier this year, one of our team members, Michael, was biking in Back Bay on his fixie bike. He was changing lanes into the bike lane, holding out his hand to signal, when a car behind him rushed past and hit him from the side. Luckily he only took minor scratches, but it left him thinking: can't there be a better way to illuminate cyclists at night? 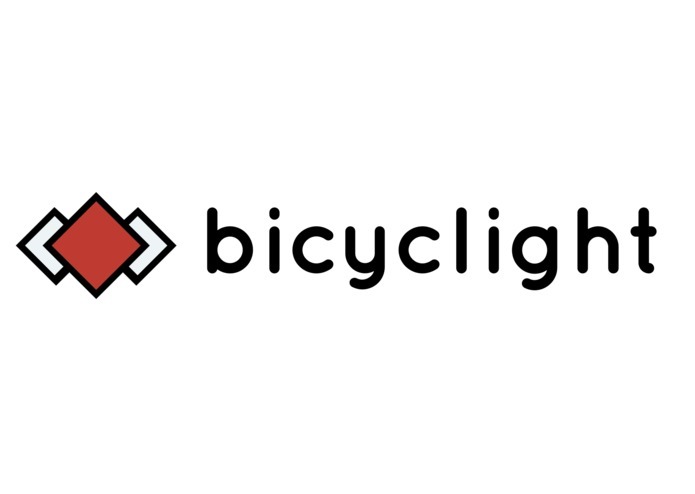 Enter: the Bicyclight, an intelligent gesture-controlled bike signaling system. A new way to illuminate your ride. The Bicyclight takes information about the user's current speed/acceleration and arm position, and outputs a lighting pattern to enhance safety of the cyclist, especially during lane changes. Before your ride, put on a Myo armband and turn on the Bicyclight. During your ride, signal as you would normally, with standard hand turn signals. The Myo armband will recognize these gestures and provide haptic feedback to verify this to the user.